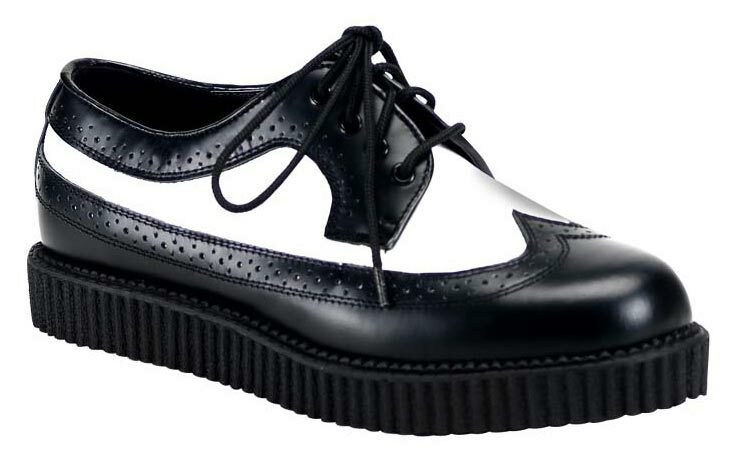 These Black and white wingtip creeper shoes work very well as an alternative to dress shoes. With a 1 inch platform they are not too high but still gives you a little height. The perforated trim and eyelet lace-ups perfectly accent these sharp looking creepers. These by far are the best shoes I've had in a long time. They look fabulous with black and grey pants. My only complaint is that the shoestrings didn't match one another!